Dr Mankul Singh completed his Bachelor of Medicine in Ukraine. 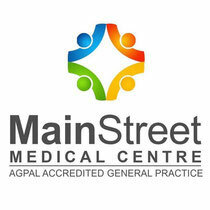 He has just started his General Practice training at our practice. Dr Singh has 3 years experience working in the Wide Bay Hospitals. Since October 2017 he has worked as a Principal House Officer in various specialities in the department of Medicine in the Hervey Bay and Maryborough Hospitals. Whilst Dr Singh is interested in various aspects of General Practice, he has special interest in cardiorespiratory medicine, renal medicine, chronic diseases management and children’s health. When he is not at work, Dr Singh is either playing cricket for the Hervey Bay Bushrangers or spending time on the beaches of Hervey Bay and Fraser Island.